My focus is on office space in Manassas and the surrounding area. I am an Associate Broker delivering commercial real estate services including office space tenant representation, buyer representation, landlord services and investment sales. 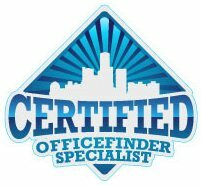 In addition to providing office space transactional services, my expertise includes defining facility criteria, analyzing alternatives and executive level consulting. I have been instrumental to succussful negotiations for Fortune 500 clientele including Wachovia, GMAC Mortgage, United Technologies, RBC Dain Rauscher, Manpower,Inc., Computer Sciences Corporation and Sullivan-Schein Dental. If you need office space in Manassas and the surrounding area, contact me today! I am unable to take on new clients at this time.